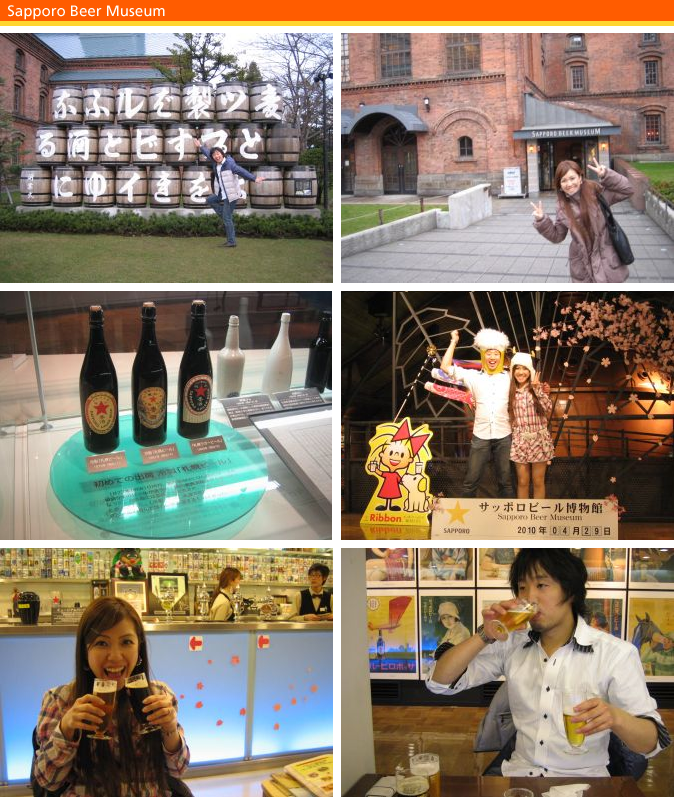 From 4/29 to 5/1, my darling and I've been to Hokkaido for the first time in our life!!! 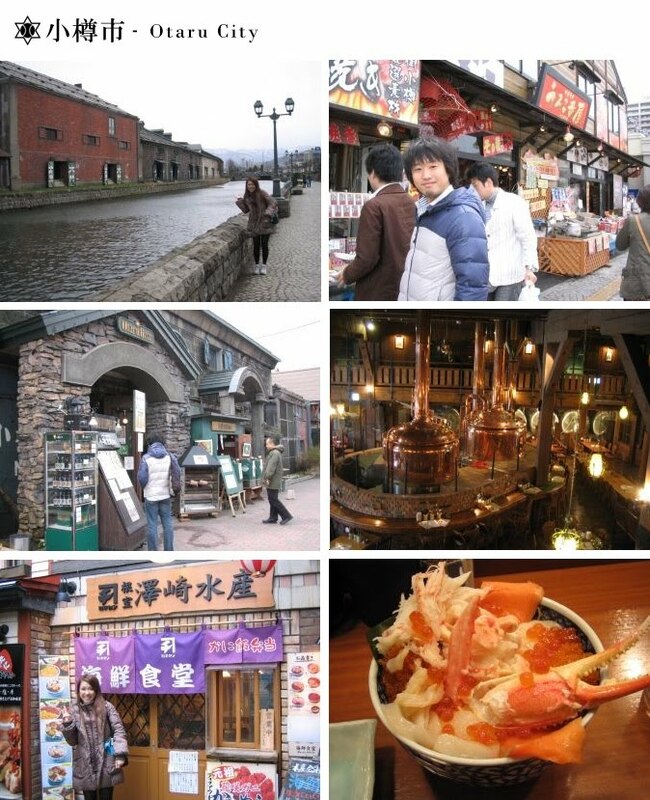 As you might know, Hokkaido is located at the northern tip of Japan. The climate there is similar to that of NY! It was pretty cold there (and unfortunately raining) when we visited. We arrived at Asahikawa airport, which is located 2 hours away from our destination: Sapporo city. 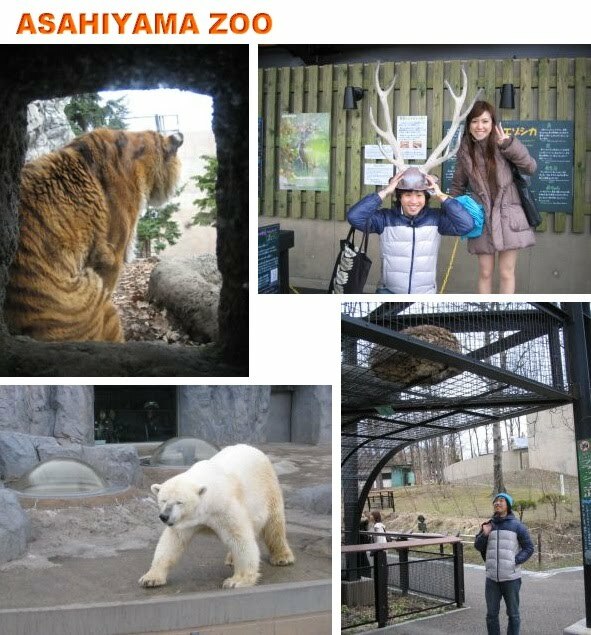 Therefore, we decided to stop over at Asahiyama Zoo nearby, where there are many unique interactive animal viewing facilities. Close to the Zoo, there is a city called Asahikawa. 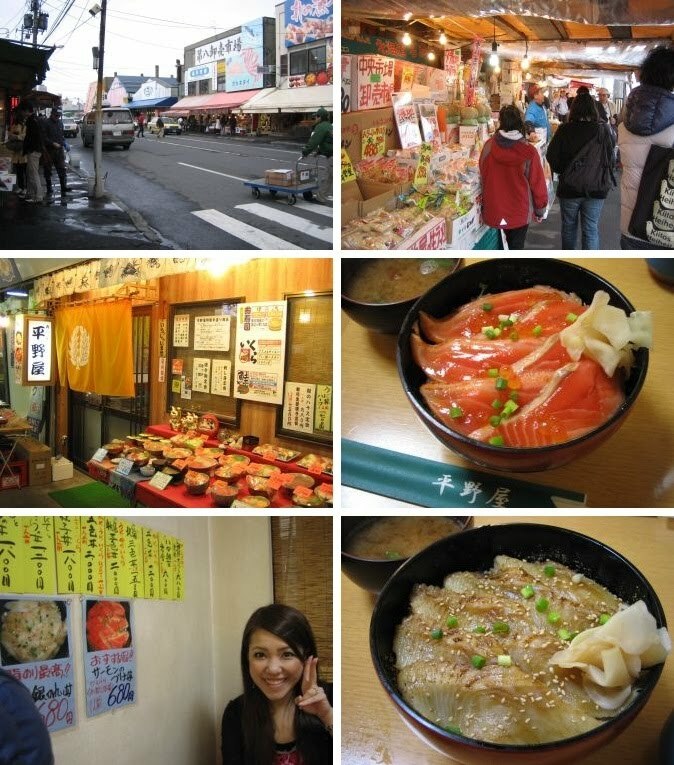 Since we had to connect the bus through the city, we had lunch at a famous ramen shop called 梅光軒 (Baikouken). Their miso ramen was super delicious that you can easily finish up the broth as well :D There is a branch in Singapore, so I hope jose can try it out someday!!! In the evening, we arrived at Sapporo city and headed to Sapporo Beer Museum, the only beer museum in Japan, was opened in July of 1987 to provide visitors with a varied knowledge of beer and brewing. At the museum, many selections of their brews are available to sample in small sized glasses! 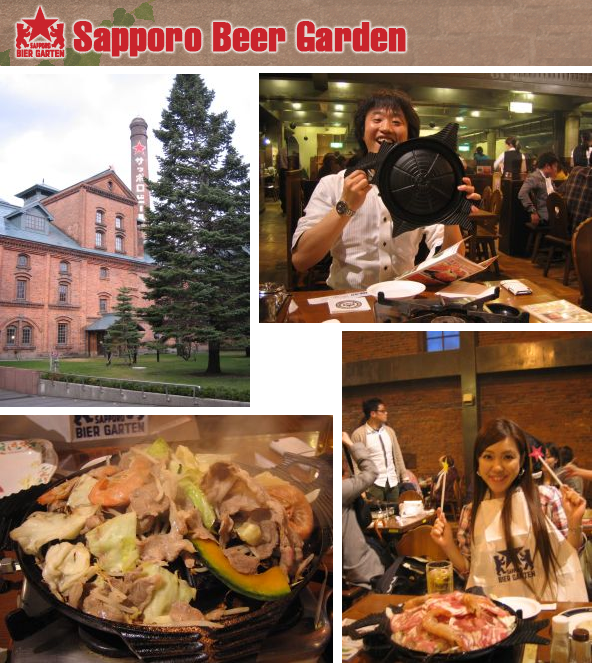 The Sapporo Bier Garten is located nearby the museum. You can enjoy the freshest draft beer and Genghis Khan-style fresh barbecued lamb on hot plates shaped like Hokkaido! Yummy!!! 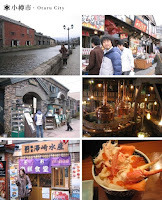 For dinner, we went back to Sapporo and went to かに本家 (Kani Honke) to enjoy full-course crab meal! The seasonal crab was hairy crab! We had one each for our main course. It was my dream to eat my fill of crabs!!! 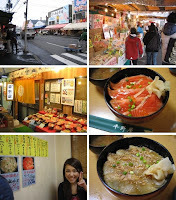 To tell the truth, the rain finally cleared on the last day, so we rented bicycles and rode few miles to 場外市場 (Outer Market) to get some breakfast. Each day, approximately 70 shops line up in the outer market to sell a wide variety of produce, seafood, and other food that was just bid on in the nearby Central Wholesale Market. We had fish bowls at 平野屋 (Hiranoya) where they serve many different varieties of fresh fish bowls. Super yummy at a low price!!! Then we toured around Sapporo city by bicycle in about an hour. Hokkaido's most famous landmark is its Clock Tower! It was the tallest building in Sapporo at the time of its construction in 1878, but these days it is dwarfed by the apartments and modern office buildings that have sprung up around it. Also, Sapporo TV Tower, 147.2 m in height, is a landmark at the east end of Odori Park. Last but not least, the most popular souvenir from Hokkaido is 白い恋人 (Shiroi Koibito). It is a butter cookie with white chocolate in between. 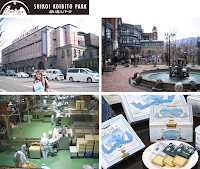 There is a factory 15 minutes by train away from Sapporo station, so we went there to see how they manufacture the cookies! There is a cookie-craft studio where you can make Shiroi Koibito cookies of your own!